It can be easy to take for granted all the exceptional local dining options we have here in Richardson, TX. One of our local establishments is Haystack Burgers and Barley. If you are in the mood for a burger, fries and a shake, Haystack has some delicious menu selections for you. Of course, it’s always best to enjoy a meal out at restaurants like this in moderation. Too much of a good thing—like burgers and shakes—can become a bad thing—like extra pounds and heightened cholesterol levels—before you know it. Another area where we find “too much of a good thing” causing issues is overpronation. 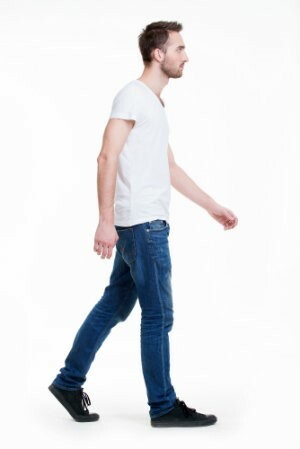 For those who are unfamiliar with pronation, this is simply the natural inward rolling motion that feet use during the course of your steps to help distribute pressure evenly. Pronation also is used to assist the foot arches as they flatten and then spring back to propel you forward. Overpronation is a biomechanical abnormality wherein the foot rotates excessively—more than the ideal fifteen percent rotation—during the process. This is often, but not always, caused by low arches or flat feet. If a pronation issue, whether overpronation or supination (under-pronation), is causing pain or effecting your gait in a manner that could lead to problems, Richardson Podiatry Associates can help. We are able to perform a gait analysis and then create a pair of custom orthotics that will help modify the pronation and provide relief. Contact our Richardson, TX office today to schedule your appointment by calling (972) 690-5374 or simply use our online form to get the fast help you need.